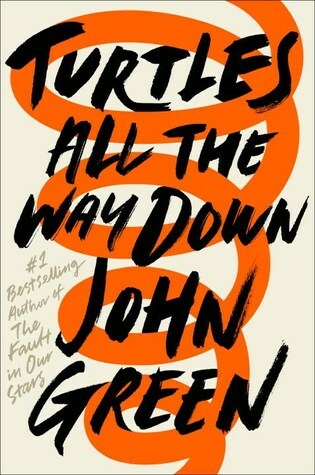 I’ve been a huge fan of John Green ever since I read Paper Towns, and I think I’ve loved all of his books, even when the language barrier made it hard for me to properly understand them. That’s why I’ve been anticipating Turtles All The Way Down since the day it was announced. I couldn’t wait to read, so of course I started reading it on the release week. Maybe because I’m a huge fan it’s hard for me to describe how I feel about this book. The thing is, I liked it so much, but I didn’t love it because I couldn’t feel John Green in it. For starters, since I didn’t read the synopsis, I was bit shocked to discover the book is narrated by a girl (yeah, I know TFIOS is narrated by a girl, too), but I was used to his male narrators (Quinn, Will Grayson, Colin, Miles), so I was kind of expecting a boy as a main character. But that’s my fault cause, like I said, I didn’t read the synopsis. The second thing that bothered me a little is the romance, but even I don’t know why. I understand why it was the way it was, but I was expecting a little more when it came to it. You see, I don’t know what to think. I’m a mess inside. This book is about Aza’s (the MC) struggles with her mental illness and how she’s trying to overcome it, and at the same time, explain them to the people around her. Aza is such a great character and she broke my heart throughout the book and all I wanted was her happiness. Aza’s journey is deep and heartbreaking, but John Green has the ability to capture the feelings of wonder with his words, so, at the same time, there were many times when this book made me feel happy! And have I told you how good was the friendship between Aza and Daisy? In all honesty, that friendship was my favorite part of Turtles All The Way Down. So, overall, I enjoyed this book. I might not have loved it as much as TFIOS, but I still liked it and I’ll read John Green writes from now on. Ooooo, you know, this review is one of the first I've seen of this book! I mean I've seen s lot of excitement for it but not many reviews on blogs. I'm so glad it did not disappoint!